Walnut Creek, CA, (February 19, 2013) Innovtec announced today that its effort as part of the Lockheed Martin / Federal Aviation Administration (FAA) Integration Support Contract (NISC) Program team were rewarded as the project resulted in receiving First Prize in the 2013 Second Annual [acronym] Magazine Public Sector CAD Awards in the Federal Government / Contractors Category announced recently. 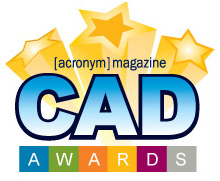 The [acronym] Magazine Public Sector CAD Awards honors the most creative and innovative users of digital design technology in the public sector. In particular, the magazine reviewed ways in which technologies such as computer-aided design (CAD), visualization and modeling software are transforming the way government agencies improve the performance of their agency and enhance the delivery of citizen-centric services. Innovtec provided the laser scanning, TruView generation, and photo documentation service to the program team which delivered a high level of detail that the creators of the BIM then used to generate the award-winning submission. Other members of the winning team were: EcoDomus, Beck Technology, Archibus, TMA Systems, Schneider Electric, ESRI and Autodesk. The basis for the scanning deliverables provided by Innovtec was to verify and confirm the existing elements of the facility. The Lockheed-Martin team utilized the data provided to enhance their model by integrating the post-construction installed FAA equipment not included in the original drawings. The scan data confirmed architectural and structural discrepancies between the drawings and the “as exists” conditions. Subsequently, these corrections were made to the final model to ensure a true representation of the facilities interior and exterior. Team leaders Lockheed-Martin successfully delivered on a mission to provide critical professional, technical, and planning assistance to FAA organizations supporting the existing FAA National Airspace System (NAS), as well as organizations tasked with the planning, development, and integration of Next Generation Air Transportation System (NextGen) into the current NAS. The FAA was interested in how Building Information Modeling (BIM) could benefit the agency. FAA tasked the NISC team led by Lockheed Martin to deliver a proof of concept to demonstrate the lifecycle benefits of BIM. Innovtec is among North America’s leading laser scanning to 3D Model and BIM providers. The Innovtec team members have completed over 50 major laser scanning projects internationally, including over 30 projects specific to the aviation industry, in such facilities as Los Angeles International Airport (LAX), Orlando International Airport (MCO), Banner Baywood Medical Center and the Pier 15 Exploratorium (San Francisco). This entry was posted on Tuesday, February 19th, 2013	and is filed under Awards, Building Information Modeling (BIM), News, Press Releases. You can follow any responses to this entry through the RSS 2.0 feed. Both comments and pings are currently closed.